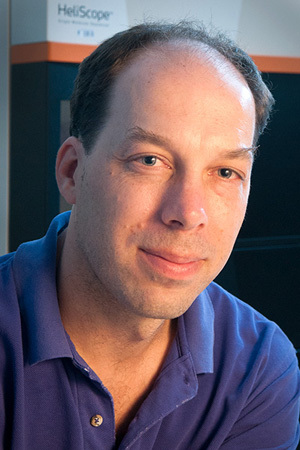 Stephen Quake responds to a blog post by Lior Pachter that analyzes data from his recent analysis of single-cell RNA sequencing methods published in Nature Methods. In October, we published an Analysis by Quake and colleagues that evaluated a number of single-cell RNA-seq approaches on the basis of their sensitivity, accuracy and reproducibility. In a subsequent blog post, Pachter challenged their data reporting. At issue is whether the failure rate among 96 samples sequenced using the Fluidigm C1 microfluidic instrument should have been presented differently. We encourage animated discussion of published research and hope that this can serve as a useful forum. In this guest post, Quake responds to Pachter’s blog entry. The views expressed below are solely his and do not necessarily represent those of Nature Methods. In a recent blog post, Lior Pachter appears to question my scientific integrity and suggest that I unfairly manipulated data in a recent publication on single cell RNAseq. Pachter has not contacted me directly with his questions nor did he give any warning before publishing his blog post. While I am happy that he is carefully scrutinizing publications and independently re-analyzing primary data, his rather sensationalistic approach to reporting his results in the absence of discussion or peer-review risks doing a disservice to science and adds more heat than light. Pachter tries to have it both ways – based on our published data he accuses me of 1) wasting effort by sequencing lower quality samples and 2) selectively publishing data from only the better samples. It is hard to see how these accusations can simultaneously both be true. As described in the methods section of our paper, the C1 capture rate is not perfectly efficient and therefore we manually inspected all the chambers. We found 93 chambers had single cells, 1 chamber had two cells, and 2 chambers had no cells. Of the 93 chambers with single cells, 91 of the cells appeared to be alive as measured by a live/dead stain and 2 did not. Our single cell RNAseq experiments included all 91 of the “live” single cells and 1 of the “dead” single cells; the data from the latter was indistinguishable from the former and thus it was included in all further analyses. There was absolutely no selection or manipulation of the data. All of the raw data as well as our R scripts were made available for Pachter and others to download and analyze upon publication of our paper. The sequencing library prep and workflow that we use is geared around 96 parallel samples and we decided it would be valuable to process control samples in exactly the same batch as the single cell samples. We therefore included four control samples with the single cells: amplification products from a chamber on the chip that did not have a cell (C09, which was unfortunately not given a distinguishing filename during the file upload), a single cell tube amplification, a no template control (NTC, C70) tube experiment that did not have a single cell, and a bulk control sample. Pachter correctly points out that C70 is dominated by the ERCC spike in controls and has essentially no human transcripts as expected; similarly, the other negative control C09 performs very poorly next to the actual single cell data. It is not clear to me why Pachter thinks I should be embarrassed for performing negative control experiments; indeed biochemical amplifiers are known to be so sensitive that there are many stories of contamination that occurs through aerosol dispersal from nearby benches, etc. In our own analyses C09 and the other controls were excluded from the single cell data. Pachter also noticed that ~ 3 of the single cell RNAseq experiments have significantly lower quality than the other 89, as measured by fraction of spike in sequenced or by log-correlation coefficient. If taken at face value, this corresponds to a failure rate of 3/92, or 3%. The experiments therefore had a 97% success rate by this metric and it is hard to see where his complaint lies. We conservatively included ALL of the single cell data in our analyses and thus if one follows Pachter’s prescription to only analyze the experiments that he deems “successful”, then the results will be even better than we reported. Finally, Pachter makes a misleading argument concerning the statistical methods used to generate figure 4a. This figure is concerned with the questions of whether an ensemble of single-cell RNAseq experiments produces similar gene expression values as a bulk experiment. The reason for sub-sampling to equal depth is worry of introducing artifacts by comparing two RNAseq experiments of dramatically differing sequencing depth (see e.g. Cai, Guoshuai, et al. “Accuracy of RNA-Seq and its dependence on sequencing depth.” BMC bioinformatics 13.Suppl 13 (2012) and Tarazona, Sonia, et al. “Differential expression in RNAseq: a matter of depth.”Genome research 21.12 (2011): 2213-2223.). This figure has little to do with estimating the quality of the individual RNAseq experiments.